Do you have some people in your life who are collectible fanatics? If this is the case, you will need to do some serious research the next time their birthdays or Christmas rolls around again. There are certainly many types of collectibles to choose from. Before you can even think about starting your shopping for collectible gifts for your friends, you need to know the exact type of collectibles they are interested in. In other words, you would not give a baseball card to a person who only collects comic books. Once you know what to look for, you can begin your search. Here are some great collectible gift ideas. Do you have a friend or relative who is a huge football fan? People who love football would appreciate a gift that they can display proudly for everyone to see. A great gift that certainly fits into that category is an autographed football helmet. Buying an authentic helmet can be quite expensive. 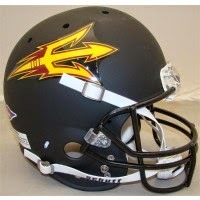 However, there are now NFL replica helmets available for a fraction of the price of the real thing. 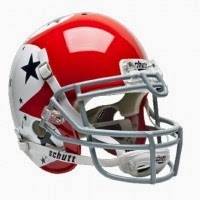 There are also stores that sell these helmets with autographs of some of the biggest stars on football. Find out who your friend's favorite player is and see if you can find a helmet autographed by that player. Nowadays, if a comic book has not been professionally graded, it is very difficult to sell for a decent price. There are several professional grading companies who will examine every aspect of a comic book. After doing this, they give the book a number grade, 10 being a flawless book. The comic is them placed in a case to protect it. If you know a comic book issue that your friend or relative has always wanted to own, you can go online and try to find it for him. A professionally graded book is a great gift because the case provides protection, it is easy to put on display and it is easy to resell in the future. Over the past decade, the popularity of game-worn jerseys has exploded in the collectible market. Having an autographed jersey of your favorite athlete is nice, but having a jersey that is actually worn in a game is even better. Getting an autographed game-worn jersey is as good as it gets.